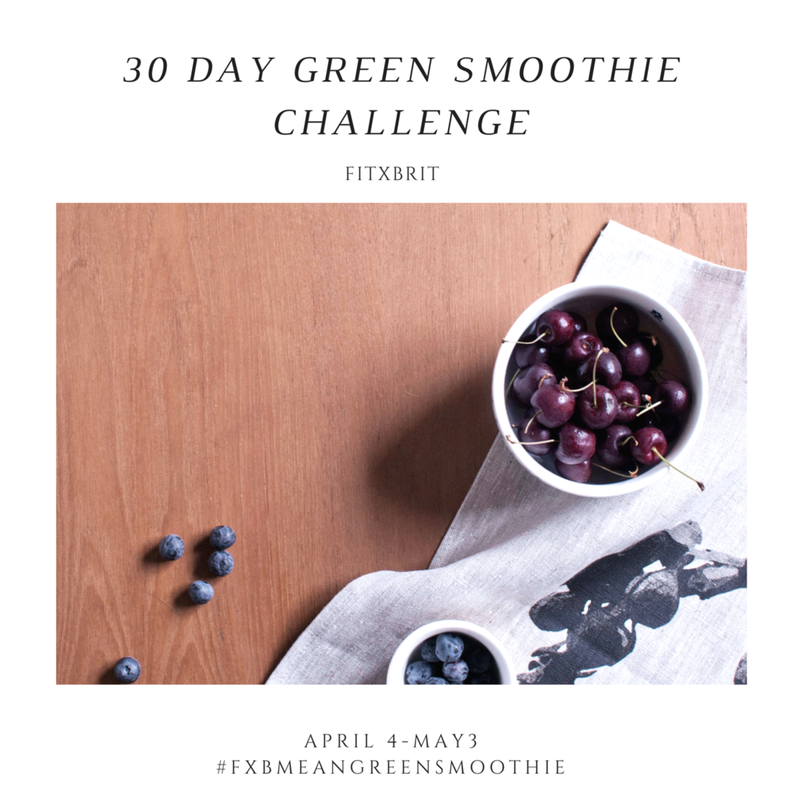 It’s April and all of my loyal FitXBrit readers know what that means…GREEN SMOOTHIES! I absolutely love incorporating smoothies into my diet to help curb that sweet tooth. If I can add a little more nutrition by making it a greenie then, heck, why not?! Every April we dedicate ourselves to adding a green smoothie each day( we will officially start April 4th and end May 3rd), either as a meal replacement or a snack. During the month, I provide all of my email subscribers with 2 unique green smoothie recipes that they can file away for later or use as they prep their smoothies for the week! I also encourage everyone to post their smoothies a couple of times a week to help you stay accountable to the process. This year we even have some pretty dope PRIZES to giveaway for those that post their smoothies on Instagram tagging @FitXBrit and using the hashtag #FXBMeanGreenSmoothie. So are you ready for the challenge? I promise it will be fun and you do not even have to use my recipes. I just want you to commit to enjoying one green smoothie a day...deal? They do not have to be green but they do have to be blended with avocado or fresh leafy green vegetables, such as collard greens, kale, rainbow or Swiss chard or spinach. For the first week I will be posting the two recipes on the site but, for every week after you will have to be signed up for our mailing list in order to get these goodies, so make sure you do that NOW. I call this one my “Green Perfection” because it is PERFECT for beginners who may be a little weary of adding leafy greens to their smoothies. You can barely taste any vegetables at all in this one. Add either ½ cup of water, almond milk, milk, or plain yogurt for your base. I suggest starting off with ½ cup and increasing based off of the consistency you are trying to achieve. Can’t wait to see those pics guys! April is going to be great!